I have tried this wonderful my mother’s recipe and I have to say that the aromas in my home were simple amazing…smelling Christmas!!! 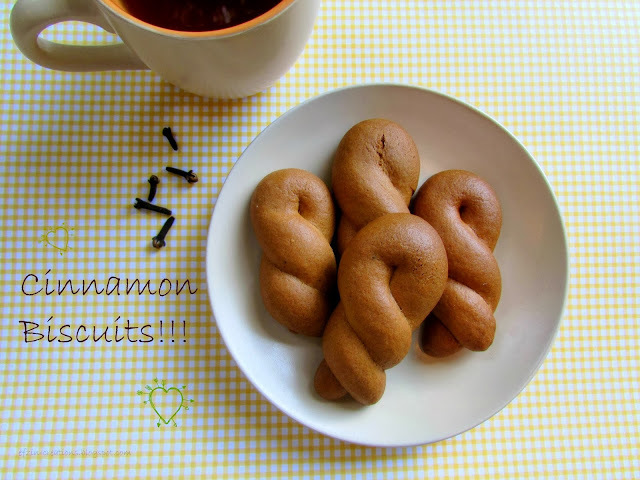 Biscuits that you are going to love, with cinnamon and orange!!! In a bowl mix sugar and olive oil. Add cinnamon and clove and keep mixing. Add the soda into the orange juice and then put it in the mix. Finally mix the baking powder with the flour and add it in the mixture. Add as match flour as it takes… 1 to 1 and a half kgr. The leaven is ready when it is not stay on the fingers! Create your biscuits and bake them for almost 30-35min in 180C in oven. Great aromas…right???? 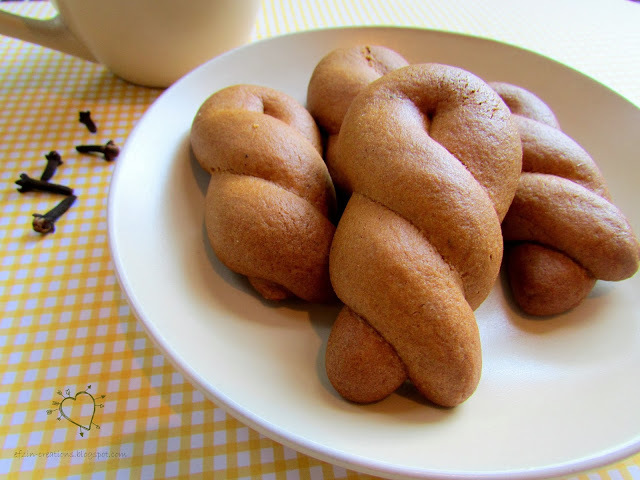 enjoy them with milk, with your coffee… every single time of the day!!! τελεια!! λατρευω κανελα! θα τα δοκιμασω. Καλη επιτυχια κ ερχομαι για καφε όταν θα τα εχεις ετοιμα…. And I love this recipe because it doesn't contain eggs! I made them, so believe me they are easy to bake! τα αγαπημένα μου! θα τα δοκιμάσω! Oh my goodness!!! These look delicious!!! I had to pin it! Mmmm they look so yummy!I love cinnamon cookies and I love easy recipes.I have to make them asap. I loved your peanut butter cookies also Maria!!! delicious! yum, i will have to try the recipe! Κρατώ τη συνταγή, φαίνονται υπέροχα! Ανανμενω σχολια οταν τα φτιαξεις! σε ευχαριστω Αθηνα! Βασικα βγαινουν τραγανουλικα αλλα ειναι πραγματικα πεντανοστιμα! Ευχαριστω για το σχολιο!!! Ζήνα μου το Σαββατοκύριακο θα τα φτιάξω σίγουρα!!! !